Did you know that now you can have your groceries delivered to your door? 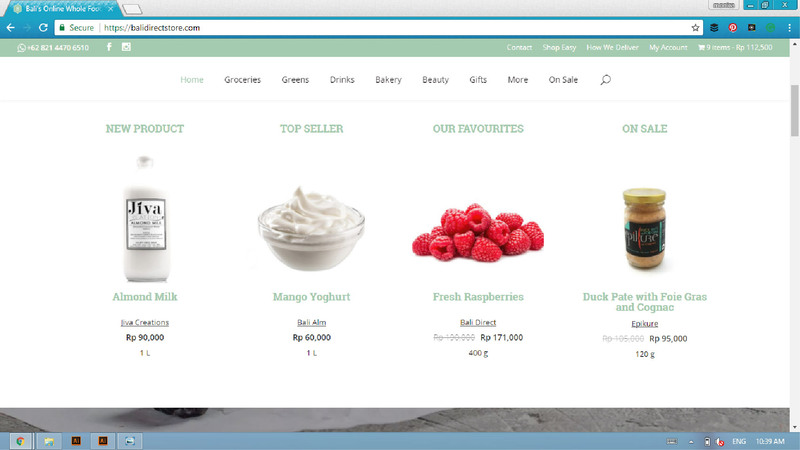 A website called BaliDirectStore.com allows us to choose fresh local products and have them delivered to our doorstep. Isn’t it great? Whenever I’m too busy to stock up my fridge or just don’t feel like going out at all I just need to go to their website and pick what I need. No traffic, no long queue, it so convenient!! 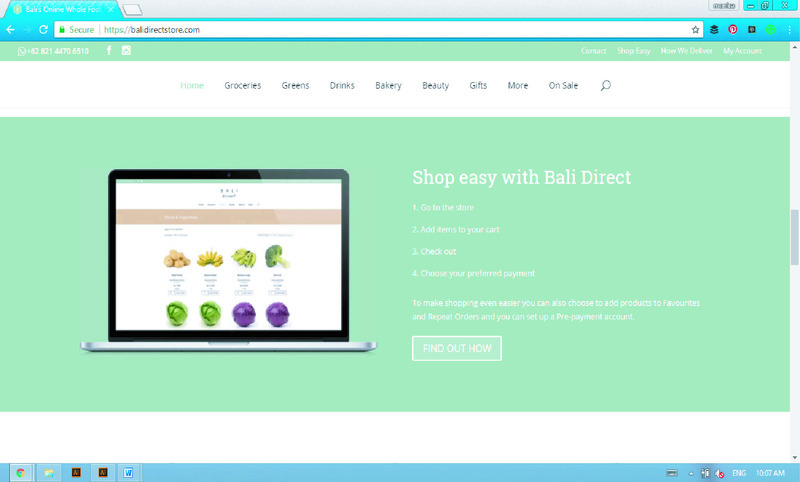 My first experience trying to shop from Bali Direct was quite simple and convenient, just go to www.balidirectstore.com, then click go to the store where you will find several highlighted items. 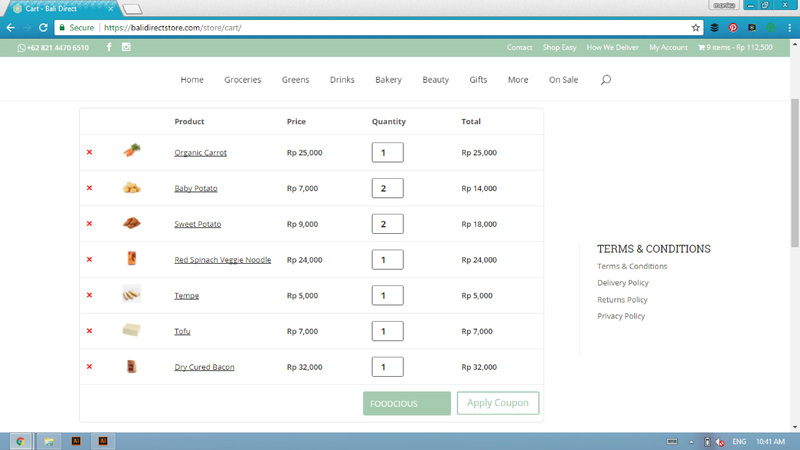 Then, just click the menu where you can see the categories of the products such as groceries, greens, drinks, bakery, etc. They also have subcategories like vegetables, meats, dairy products, etc to make it easier to browse the products that you’re looking for. Once you find the item you wish to buy, just put the quantities of products and add it to your cart. So far it’s simple right? Oh, on every product you can also add it to your favorite so it will be easier to find for your next shopping on this website. Ok, I’m finished shopping and get everything that I need then I just click the cart, final check on the item and make sure I don’t miss anything or put the wrong quantity of products. And at the bottom, I can see my shopping total. 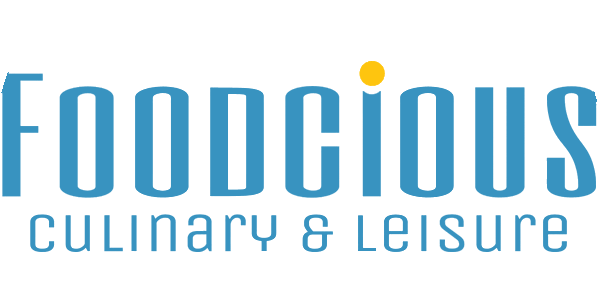 Don’t forget to put “FOODCIOUS” discount code to get a 10% discount. FYI for Denpasar area with the minimum purchase of IDR 100.000 you can get free shipping, nice isn’t it? Bali Direct’s core values are Local, Kind and Open, and they demonstrate this in both their business and their community engagement. 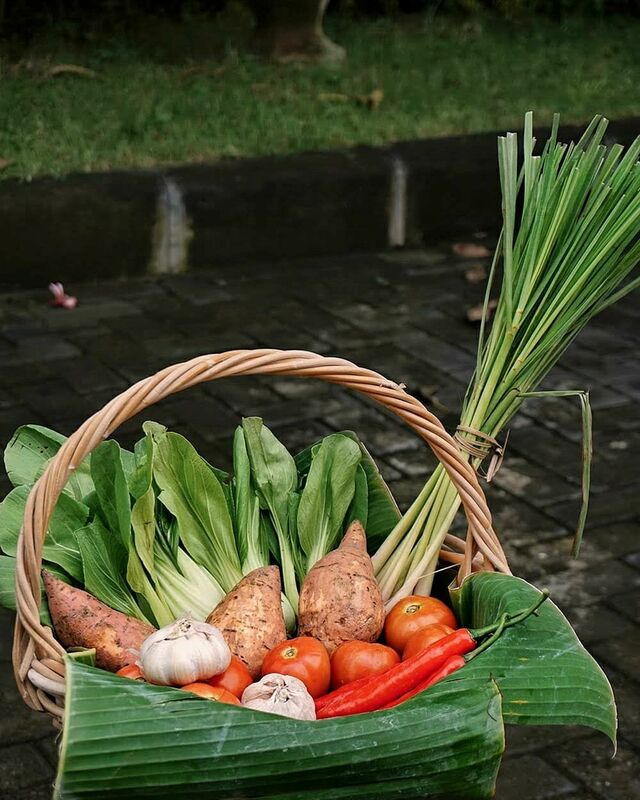 They have partnered with Bumi Sehat, a community health and childbirth center in Ubud, to provide fresh vegetables for their patients and staff. The clinic is currently hosting over 100 pregnant mothers and their families who have been forced to evacuate their homes due to the Mt. Agung eruptions. 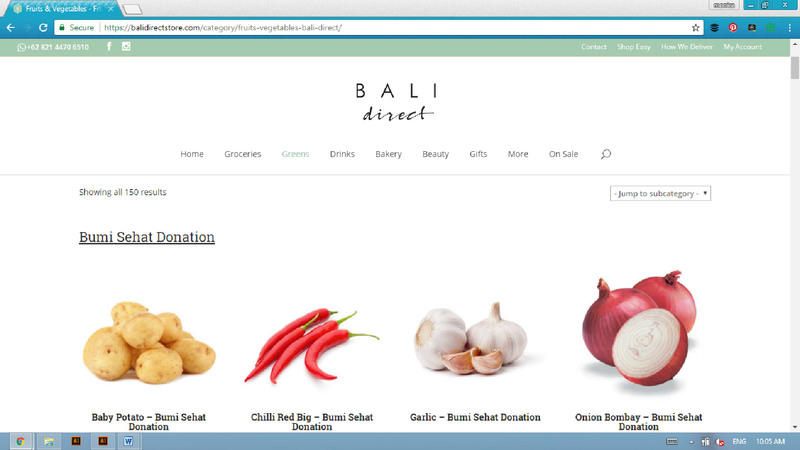 Customers can donate vegetables by clicking on the Bumi Sehat Donation tab underneath Greens. And all proceeds will go to Bumi Sehat foundation. Bali Direct is a social enterprise focused on creating sustainable and ethical supply chains to give Balinese producers market access. 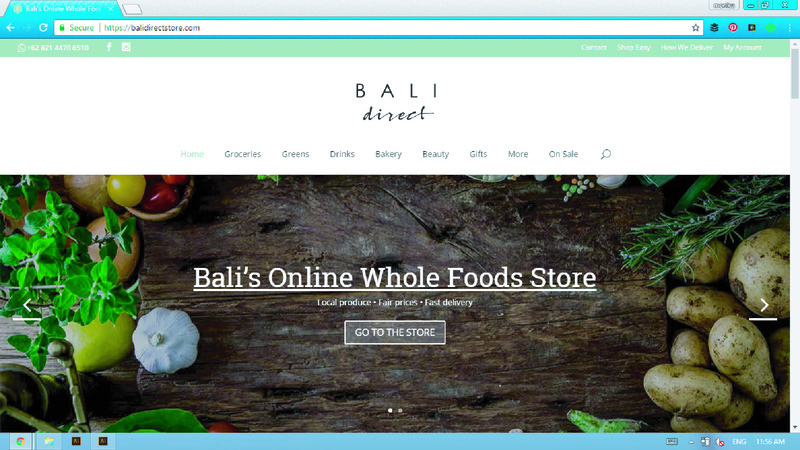 Through their online whole foods store, Bali Direct offers customers access to yummy organic greens, juices, and dried goods from all over Bali. 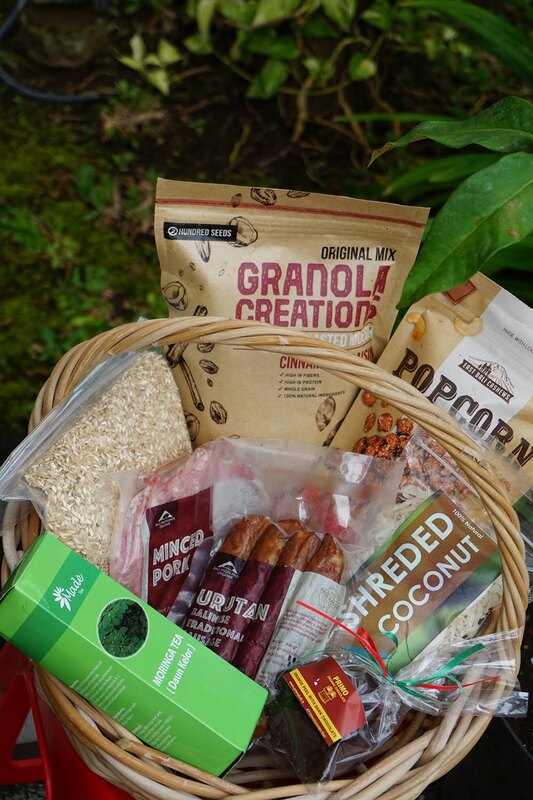 90% of their products are from Bali producers.